Anxiety is a natural reaction that everyone experiences from time to time when faced with danger, threat or stress. Anxiety involves the physical and psychological reaction that is essential to prepare the body for either running away or fighting if needed. This is known as the “fight or flight” response. It assists us to be on the alert for potentially dangerous situations. Anxiety problems originate when the “fight or flight” response is too sensitive. Like a too sensitive car alarm that goes off at the wrong time, if the body’s alarm is too sensitive, the “fight or flight” response will be triggered at the wrong time. If an individual’s anxiety alarm goes off too easily, they will be more likely to become anxious in situations where other people would not. Anxiety becomes a problem when it is so frequent or persistent that it interferes with the individual’s life. It can be disabling in that it prevents the individual from living their life in the way that they would like. An individual suffering from anxiety disorder may suffer from a wide variety of symptoms which include emotional, physical and behavioural symptoms. You may feel irritable, uneasy or worry excessively about things. You may feel that something awful is about to happen and may feel “highly strung”. You may have heart palpitations or chest pain, muscle tension, sweating, breathing difficulties, faintness, headaches or nausea. You may find it hard to relax, hard to concentrate and difficult to sleep. You may go to great lengths to develop plans to avoid certain places, situations or objects. Anxiety can take various forms, from panic attacks to obsessive compulsive behaviours. 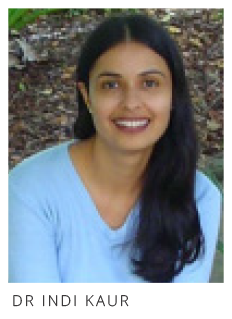 Dr Indi Kaur is the Principal Psychologist of Amicus Counselling & Clinical Psychological Services. She is a member of the Australian Clinical Psychological Association (ACPA) the professional governing body for clinical psychologists in Australia.